Slack is widely used tool to bring internal communications together in one place. 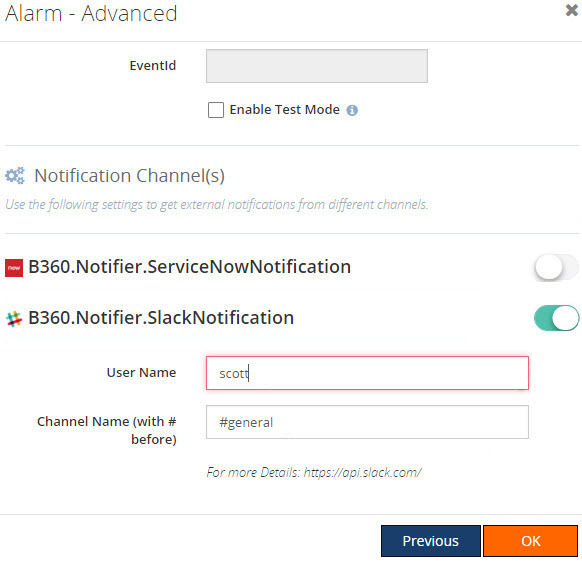 This configuration will allow you to send alert notifications from BizTalk360 alarms directly to the Slack channel of your choice. 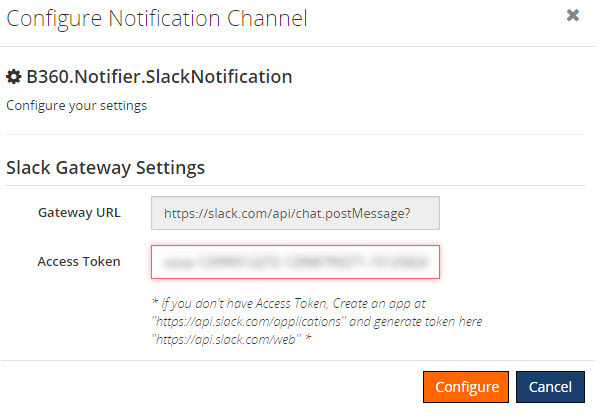 The primary step to receive notifications in Slack is to configure your Slack channel in BizTalk360 using your Slack Access Token. If you don't have Access Token, create an application in Slack and generate token here. Once you configure Slack in BizTalk360, enable the Slack notification from Alarm creation blade to complete the process. Once you have configured Slack in BizTalk360, you can enable the Slack notification from Alarm creation blade to complete the process. BizTalk360 will start monitoring the status of the artifact based on the threshold condition. If there is any threshold violation, you will receive the alerts to configured Slack notification channel. In the Notification Channel(s) section on the Advanced (Notifications) screen, you will notice Slack is listed with a toggle icon. Toggle the icon to enable the Slack Notifications. Once the mapping is done, whenever there is any threshold violation in the environment, Scott will receive the alert notifications on the Slack #Acme channel. He need not log in to BizTalk360 to view the status of the environment at any point of time.